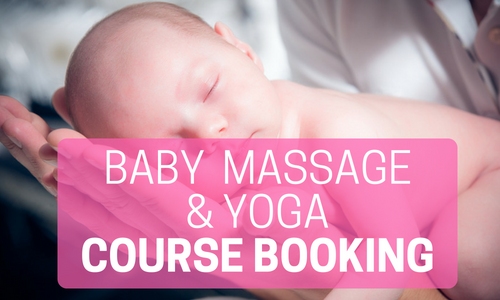 Baby Massage is a wonderful, nurturing experience to share quality time with your Newborn Baby, to have fun and explore the loving bond between you. It is relaxing and soothing for both you and your Baby, and it can also be helpful in relieving colic, wind, crying, teething, sleeplessness, fractiousness and Post-Natal Depression. It’s also a great way to meet other new mums and grow a lovely network of new, lifelong friends. 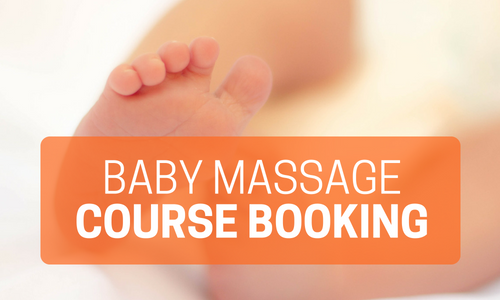 The Course is 5 Weeks long, during which time you will learn a full massage routine including a session on the wonderfully calming Baby Reflexology, in a relaxed, friendly environment. Full Course Notes and Massage Oils are provided. Course fee includes all tuition, oils used and a comprehensive PDF booklet of all the routines used. Please ensure that you have completed the Booking Form on the Baby Classes page. This fee is for the entire course and cannot be refunded part way through the course. If possible, you may be able to attend the next course to complete any missed sessions. Less than 10 days before the event = NO REFUNDS unless the workshop is full and I can fill your space from the waiting list, or in the case of serious injury/medical condition where you can provide a Doctor’s Note. In these cases, a 10% admin fee will be charged. In the event that the course is cancelled, a FULL refund will be given. You may be able to transfer your booking to the next course if a space is available.